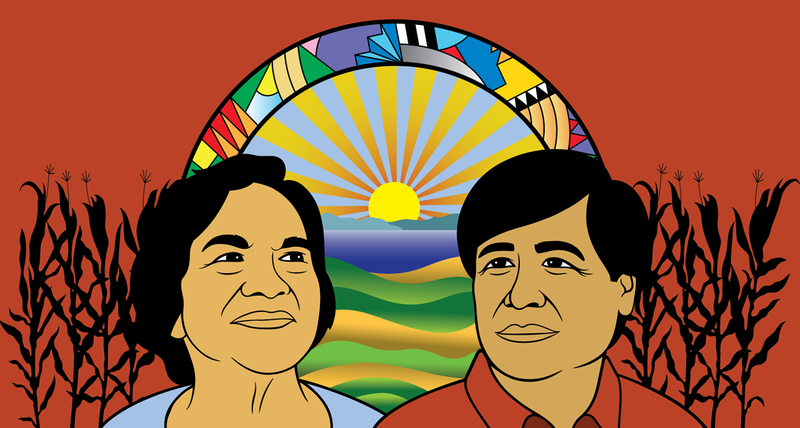 Dolores Huerta & César Chávez worked together as labor leaders & environmentalists for 30 years. Together they added up to a formidable duo which led to the formation of the United Farm Workers Union in 1962. They realized early on that working together they could achieve much more than working separately. César died in 1993 but Dolores Huerta continues to be a powerful force for change. She was born on April 10, 1930, in Dawson, New Mexico. She became an elementary school teacher but left the profession after she saw that her students were living in poverty without enough food to eat. In 2011, President Obama awarded Dolores Huerta the Presidential Medal of Freedom - The highest civilian honor in the United States. Dolores Huerta 13 Huerta realized that there is a power within each of us to create change, and she became the most prominent Chicana labor leader in the United States. She has dedicated her life to the struggle for justice, dignity, and a decent standard of living for one of the most exploited groups in the United States – the men, women, and children who toil in the felds and orchards picking the vegetables and fruits that stock grocery stores. Huerta and Chávez motivated the workers to fght for their rights and, in the process, changed history. In the union and elsewhere, Huerta had to battle both gender and ethnic stereotypes. But she was able to hold her own against angry Anglo growers who resented the fact that any Mexican American, and a woman no less, would dare challenge them. Chávez described Dolores as “fearless, both mentally and physically.” Huerta met feminist Gloria Steinem, who made her aware of the emerging women’s movement. She then began to add a feminist point of view to her human rights philosophy, and became a voice for the inclusion of women in positions of leadership. She was arrested 22 different times. In San Francisco in 1988 during a peaceful protest she was severely beaten by the police. Several ribs were broken and she was hospitalized for emergency surgery. The incident was caught on tape. 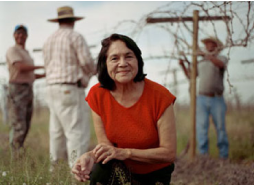 It led to an economic settlement, which Huerta turned over to beneft farm workers. Dolores has 11 children, 14 grandchildren and 4 greatgrandchildren. She is now the Director of the Dolores Huerta Foundation, which is dedicated to passing the torch of organizing to the next generation.